RESAAS is a free Windows 8 Real Estate App which will help you in your Real Estate matters. This app for Windows 8 is a very useful guide if you want any help in case of property dealing or purchase. As in today’s scenario, real estate is the best place to invest your wealth, and this little Windows 8 app here will help you do this in a better and effective way. 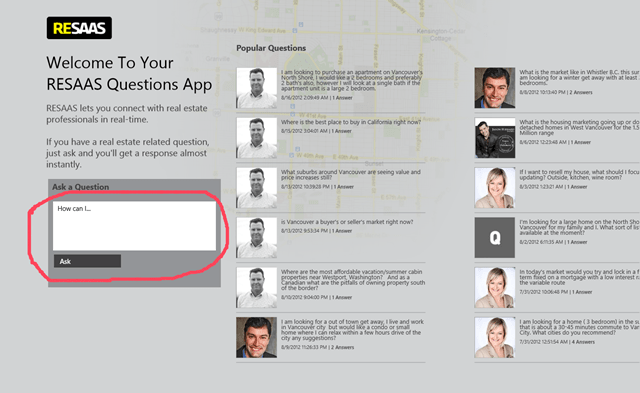 RESAAS app for Windows 8 enables you to have expert opinions and advice on investing in property and real estate. You can now just sit at home and browse through various property and real estate related queries with the real experts. Have real-time interaction with the experts and have your queries resolved. Talk to them and figure it out which property is good to invest and which is not. You can also read other post related to property posted by various other guys all over the globe. This is how you can have expert opinions form the real estate experts. You just have to create an account with your own email id and you are ready to go with it. Now, there is no need to go to a property dealer or a broker who will fetch a property for you and make you beg for that. You can’t have a rational price argument with a broker but with this app in your PC, you just have to ask your question and you will be answered. Also, check out our post on more Windows 8 apps. 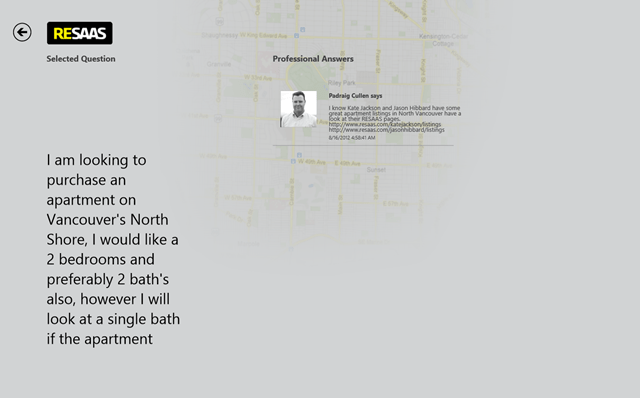 Just quote your answer there and within a time it will be answered by the real estate and property professionals. 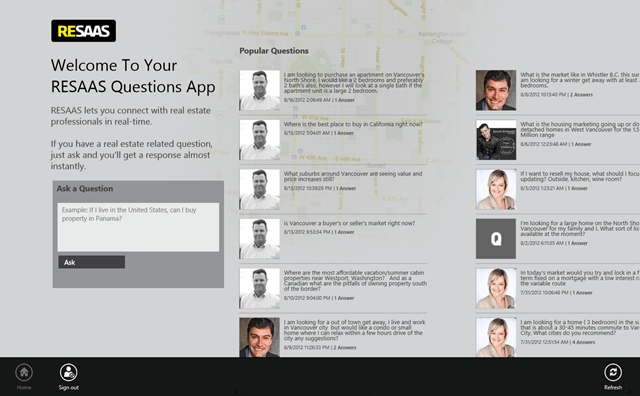 So, you can also check out the Q&As of other people on this Windows 8 real estate app and can also resolve your related queries similar to theirs. You can have opinions on mortgaging properties, taking them on lease, selling properties, or commercial properties, name it and it will be answered. So, just install this free Windows 8 app on your desktop and just sit and relax.